More than a century ago, when ecology was a new word, our founders organized what is now called Native Plant Trust to stop the destruction of native plants. Today, as native plants face the greatest wave of threats since the last mass extinction, we are still a national leader in native plant conservation, horticulture, and education. We save native plants in the wild, grow them for gardens and restorations, and educate others on their value and use. We develop new insights, create cutting-edge tools, and foster collaborations that advance our own work and that of our peers. Our leadership and staff are internationally recognized as experts in their respective fields. We offer a wide range of resources and programs for all levels of interest and experience. History teaches us that one way to halt the destruction of plants in the wild is to cultivate the hard-to-find plants people covet for their gardens. Our horticulture staff propagates and sells native plants suitable for home gardens and offers related public programs. In these ways, we reach a wide audience with our message that native plants are not only beautiful, but ecologically important to the wider landscape. We operate a native plant nursery at Nasami Farm in western Massachusetts and own six rare plant sanctuaries in Maine, New Hampshire, and Vermont that are open to the public year-round. Download our strategic plan here. Our mission is to conserve and promote New England’s native plants to ensure healthy, biologically diverse landscapes. Through our leadership, New England’s native plants will exist in vigorous populations within healthy, evolving ecosystems, and people across the region will actively promote and protect them in the wild and in their gardens. Native Plant Trust will continue to lead the region in all aspects of native plant conservation, horticulture, and education. We will continue our leadership role in national and international efforts to conserve native plants, with a particular focus on achieving the goals of the Global Strategy for Plant Conservation in the United Nations’ Convention on Biological Diversity. We're proud to share some recent milestone accomplishments in native plant conservation, horticulture, and education, achieved with the help of our generous supporters. We developed the Seed Ark campaign to fund the collection and banking of seeds from at least two-thirds of the populations of all the region’s rare and endangered plants by 2020, targets established in the United Nations’ Global Strategy for Plant Conservation. Meeting this ambitious goal entails collecting from more than 2,000 populations of the 300 of our 388 globally and regionally rare species that can be banked using current techniques. When Hurricane Sandy ripped through the Eastern Seaboard in 2012, it took out thousands of miles of coastline. 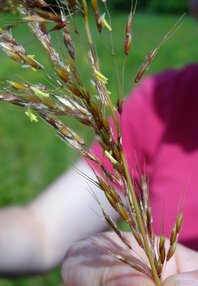 To help restore sensitive coastal habitats, Native Plant Trust and our partners convinced the US Department of the Interior to fund a three-year initiative to collect and bank local seeds—the first such large-scale effort in the eastern half of the country. Coastal public lands, including national wildlife refuges and national parks, are already using the seed to restore storm-damaged habitats. Our botanists engaged in experimental projects to restore, augment, or reintroduce rare plant populations, including a globally rare species known to exist in only three sites in the world, all of which lie along the Connecticut River. Need an expert on sustainable landscaping and horticulture, plant conservation, gardening with native plants, or a related topic to speak at your event? Native Plant Trust has compelling speakers available for presentations, seminars, panels, symposia, and other events. Speaker fees, except for travel expenses, are used exclusively for our programs. Please contact the speakers directly to inquire about availability and fees. Arthur Haines is a plant biologist specializing in the taxonomy and identification of New England tracheophytes. He is the author of Flora Novae Angliae (2011), published by New England Wild Flower Society and Yale University Press, and several other books, including Flora of Maine. Native Plant Trust proudly bestows three awards for outstanding achievement. We welcome your nominations for all awards. Please submit them by March 1 using the embedded forms. The Founders’ Medal honors achievement in conservation, horticulture, or education whose impact rises to national or international importance. The recipient may be based anywhere in the world. The Regional Impact Award recognizes one or more individuals or organizations for exceptional leadership and achievement in native plant conservation, horticulture, or education with regional significance. Although the individual or organization could be based elsewhere, the work must be executed in New England or have its primary focus on the native plants of New England. The Service Award recognizes leadership, consistent dedication, and effectiveness in furthering the mission and activities of Native Plant Trust. The ideal candidate will have brought tangible value to the organization over many years and served as a model and inspiration for others. Download the list of all past award winners here. We hear this a lot when people discover the wonders of plants. 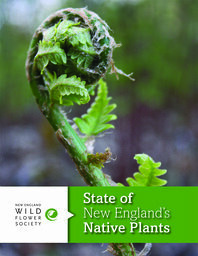 Learn what threats New England’s native plants are facing, what needs to be done, and how you can help! Please support our work to conserve, grow, and teach about our region’s native plants.